Assigned to Fortress Konigsburg in August 1914. Assigned to the 2nd Mixed Landwehr Infantry Brigade on 2nd August 1914. Assigned to the 70th Landwehr Infantry Brigade in August 1914. Assigned to the 17th Landwehr Infantry Brigade, part of the 3rd Landwehr Division. Assigned to the 22nd Mixed Landwehr Brigade, part of the 4th Landwehr Division. Garrison of Metz. Assigned to the 14th Mixed Landwehr Brigade, part of the 5th Landwehr Division in January 1915. Assigned to Fortress Thorn in August 1914. Assigned to the 20th Landwehr Infantry Brigade. Assigned to the 170th Mixed Landwehr Brigade, part of the 85th Landwehr Division on 7th July 1915. Assigned to the 23rd Mixed Landwehr Brigade, part of the 4th Landwehr Division. Garrison of Metz. Assigned to the 30th Mixed Landwehr Brigade, part of the 5th Landwehr Division in January 1915. Assigned to the 6th Landwehr Infantry Brigade, park of the Konigsburg Garrison. Assigned to the 34th Mixed Landwehr Brigade, part of the 1st Landwehr Division. Assigned to the 43rd Mixed Landwehr Brigade, part of the 2nd Landwehr Division. Assigned to the 18th Mixed Landwehr Brigade, part of the 3rd Landwehr Division. Assigned to the 49th Mixed Landwehr Brigade, part of the 9th Landwehr Division on 15th February 1915. Assigned to the 169th Mixed Landwehr Brigade, part of the 85th Landwehr Division on 7th July 1915. Assigned to the 14th Mixed Landwehr Brigade, part of the 5th Landwehr Division. Assigned to the 37th Mixed Landwehr Brigade, part of the 1st Landwehr Division. Assigned to the 33rd Landwehr Infantry Brigade, part of the 1st Landwehr Division 2nd August 1914. Assigned to the 38th Mixed Landwehr Brigade, part of the 1st Landwehr Division. Assigned to the 44th Landwehr Brigade in April 1917. Assigned to the 45th Mixed Landwehr Brigade, part of the 2nd Landwehr Division. Assigned to the 46th Landwehr Brigade. 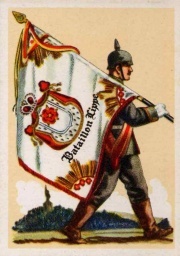 Assigned to the 47th Mixed Landwehr Brigade in August 1914. 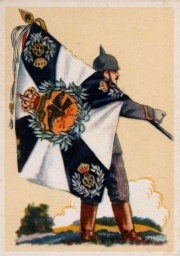 Assigned to the 46th Mixed Landwehr Brigade in August 1914. Assigned to the 56th Mixed Landwehr Brigade, part of the 8th Landwehr Division on 31st January 1915. 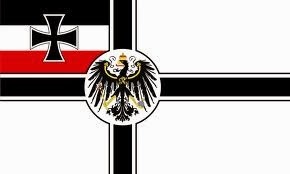 Assigned to the 51st Mixed Landwehr Brigade, part of the 7th Landwehr Division on 1st April 1915. Assigned to the 52nd Mixed Landwehr Brigade, part of the 7th Landwehr Division on 1st April 1915. Assigned to the 53rd Mixed Landwehr Brigade, part of the 2nd Landwehr Division. Formed as Composite Infantry Regiment Runge made up of units from Ersatz Regiment Runge and Regiment von Kramsta. Formed from the Composite Infantry Regiment Leimbach-Zerener. The Regiment was formed by renaming the Ersatz Regiment von Wentzel.